State Finance Minister Lakshman Yapa Abeywardena yesterday told The Island that the government intended to raise Rs 100 bn through the increase in Value Added Tax (VAT). Minister Abeywardena said that the government required additional funding to meet its requirements. Asked whether it would be possible to raise enough funds for that purpose through the imposition of VAT, Minister Abeywardena asserted that perhaps about 70 per cent of that amount could be obtained.VAT increase came into operation on May 2. The National List MP admitted that the government had no option but to increase VAT on a range of items to meet the shortfall. The Finance Ministry increased VAT on both services and goods to 15 per cent. Responding to a query, Minister Abeywardena said the national economy was in dire straits due to rapidly falling state revenue and sharp depreciation of the rupee over the years. According to him, the state revenue had dropped to a 10 per cent from 19 per cent of GDP during 1994. 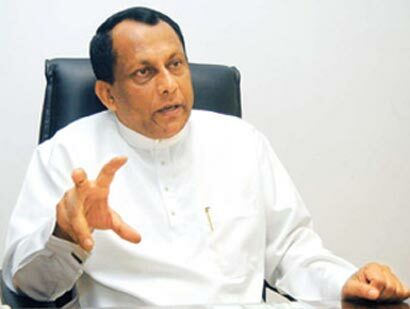 Responding to former Minister and Chairman of the Committee on Public Enterprises (COPE) D. E. W. Gunasekera’s constant plea to increase direct taxes, Minister Abeywardena asserted that Gunasekera was articulating his socialist views. The General Secretary of the Communist Party of Sri Lanka had been campaigning for sharp increase in direct taxes and corresponding decrease in indirect taxes. Minister Abeywardena insisted that Gunasekera’s proposal wasn’t realistic therefore the government would continue to largely depend on indirect taxes. Minister Abeywardena asserted that further imposition of direct taxes could have a detrimental impact on the export sector. The UNPer turned SLFPer cited the difficulties experienced by the garment sector to justify the decision not to target them with additional taxes at the moment. The garment sector was struggling due to sharp increase in production costs in the wake of tough competition from Vietnam and Bangladesh, Minister Abeywardena said.